These organic treats are the first in our line of specialized "Dog Treats". 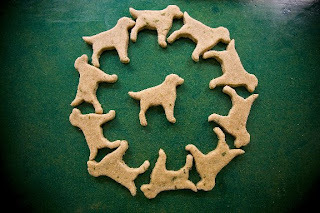 "Sweet Dog" treats are delectable dog cookies made with parsley and mint to fill your best friend's stomach and sweeten their breath. "Sweet Dog" treats are package in cute Chinese take-out containers and come 10 to a box. Your dog will taste the love. Great as a gift! These cookies are made with organic wheat flour, organic wheat bran, organic sunflower and flax seed oil, free range organic chicken eggs, organic parsley, organic mint, pinch of salt and lots of love. My dog's name is King. 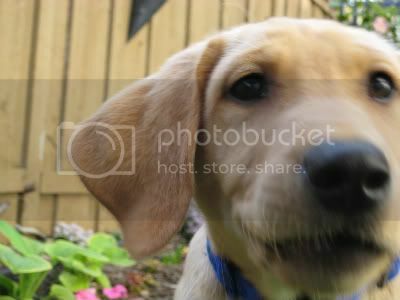 I have a puppy named Hunter.